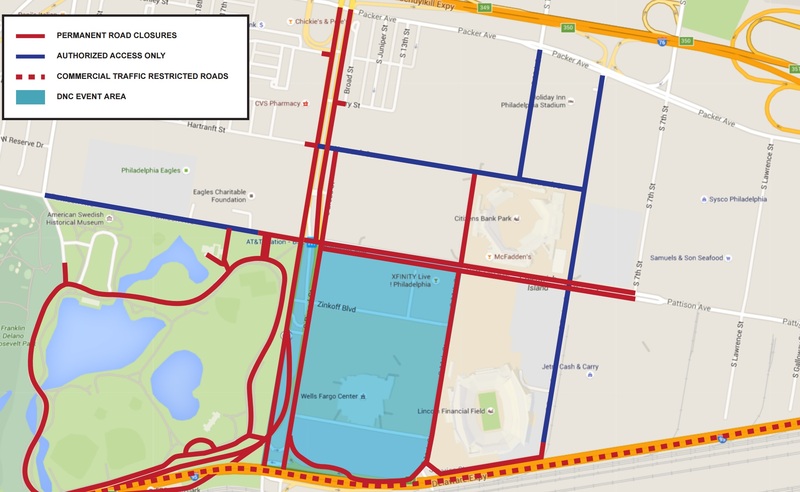 Map of road closures during the DNC. Courtesy of the United States Secret Service. City, state and federal officials yesterday released new details about security measures during the DNC, including the city’s planned response to protesters. Officials will close Broad Street south of Packer Avenue to traffic and permit demonstrators to march as far south as Pattison Avenue and into FDR Park. The designated protest zones in FDR will afford demonstrators a very limited view of DNC delegates, as the Declaration has previously reported. 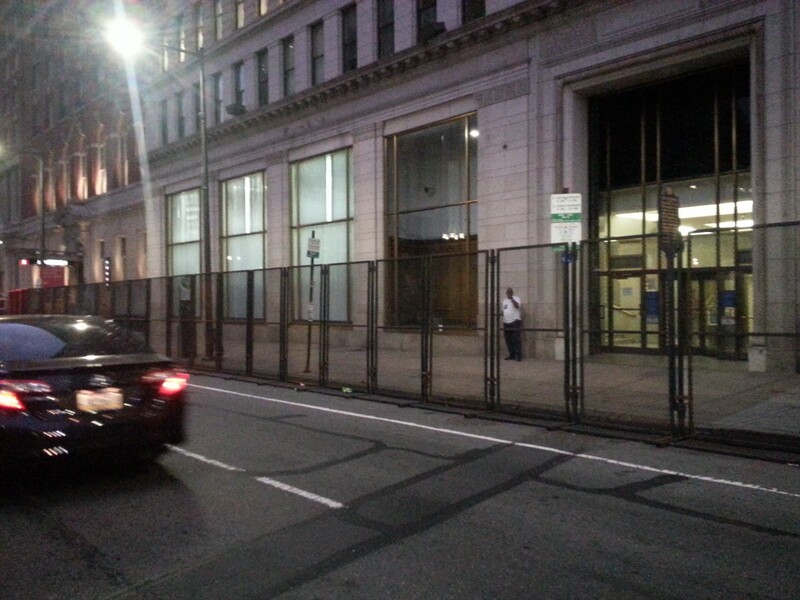 The Secret Service yesterday said they will separate the FDR protest zones from the Wells Fargo Center with semi-transparent fencing. Officials used similar fencing when the Pope visited in 2015. Fencing used during the Pope’s 2015 visit. Photo by Dustin Slaughter. Philadelphia Police Commissioner Richard Ross said police will not act more aggressively during DNC-related demonstrations than they normally do during smaller-scale political events. Ross did not rule out the possibility that police will arrest those protesting without a permit. City officials have also loosened permit restrictions in the wake of a recent federal civil rights lawsuit filed by the ACLU of Pennsylvania. Philadelphia police faced national criticism after the 2000 Republican Convention for skirting city regulations which restrict local law enforcement from spying on organizers by calling upon state and federal officers to do so in their stead. Commissioner Ross claimed that neither state nor local law enforcement have spied on those organizing demonstrations during the DNC and will not do so. City officials may issue more updates on their security plans in the next few weeks. Follow the Declaration to stay in the know about important DNC developments. See below for documents released today. What kind of democracy is this, keeping the people out? Who exactly is being protected here?